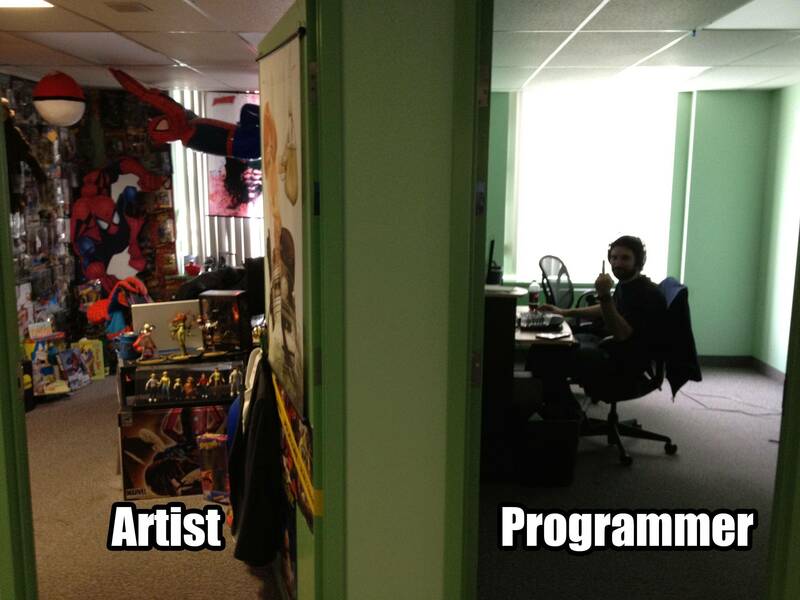 There are many routes one can take when looking at going into the game industry. So many specializations, so many specifics. When coming to a university like UAT, it's convenient that you learn the trade as a whole instead of just one skill. As a game artist there are many roads you can take. Fortunately, here, there is a class on almost every route that you can take. They're not specified in the course names but for instance if you are like me and prefer to do hard surface modeling and texturing, then the texturing and advanced environment creation classes are perfect for you. With the help of these classes you will learn the necessary skills needed for the job. Often times the classes will have an assignment in the first couple weeks where the student has to look up jobs that relate to what they'll be learning in the class. So next semester I signed up for a programming class. It kills me a little on the inside, but yes I'm taking a programming class. I decided, even before coming to the university, that I would try to take a class in both game design and game programming to at least understand what they do and how it affects me as an artist. Pretty smart right? Well my entire time here I've been avoiding programming like the plague because it's just not my forte. I'm sure some of you think I'm being a bit over dramatic, I mean how hard can programming be? Well in my first semester here I took game design 101. This was an intro class that started teaching the foundations of game design. From this I learned how to build a game design document. What I personally took from this class is what to look for in a game design document. Now that I know how it works I can comfortably read a 20 page game document and understand most of what is going on. I can also contribute to it the necessary things that artist sometimes implement into these documents as well. So why am I taking a programming class? Because I know for a fact that one of the reasons I have a lot of issues understanding some of the errors I get in either game engines or modeling software is because I know nothing about programming. I know that this class teaches the basics but for example in one of the game engines that I use most often a lot of the higher level tricks and techniques require you to be able to use a blueprint mode. 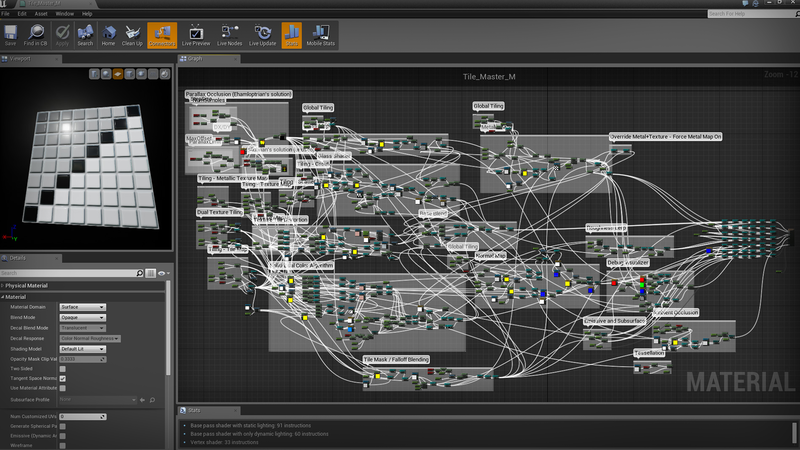 Unreal 4 has a blueprint mode that is essentially visually programming something. For example if I wanted a cut scene to start as soon as a player entered a room I would have to use the blueprint to make it so when the player character enters a box (the opening of the door) it will activate the cut scene video. Seems pretty easy right? Sometimes it is, but sometimes it can get very, very complex. Now it's much easier than just straight up writing code but for someone like me I have no idea how to use it unless if I have a tutorial. If you see the image below you can see just how complicated some of the art blueprints can be. So how can you benefit from this? If you are a game artist and you understand programming and enjoy doing a bit of it then there is a position in the industry for that. It's called being a technical artist. Being a technical artist is all about being able to understand a bit of code to make materials, shaders, and lighting better in a game. 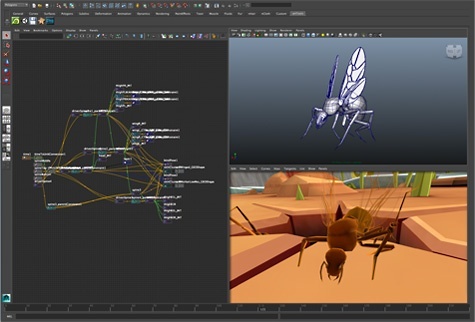 It can even going into the modeling and animation of a game as well. This is a well sought out job so you'll be pretty successful if you enjoy this stuff. Now if you are an artist who likes game design a bit and know a bit about level design, there is also a special position for you as well. This position is called being a set designer. Now either game designers or artists can go into this job but as an artist, if you know a bit about architecture you'd be a good mediator and leader to the environment artist to ensure that they are staying consistent with the environment and what they're doing. As I said there are many routes that you can go into when looking at becoming a game artist. Depending on what you like to do will help you find what job you'll get. Which is why I say that UAT students are fortunate because we get to learn all of it so we can choose a specialty when we are done.